The AI Revolution: What is Keeping Your Payments Safe? A super-hero named “Real-Time Fraud Prevention” leads the global super-hero squad of the same name. His chest and cape display a sober R-TFP logo as he patrols ecommerce websites delivering fewer false-positive merchant headaches and better business results. Ably seconded by Machine Learning (ML) and her close relatives within the impish Artificial Intelligence family, R-TFP is one super hero team that all high-risk ecommerce merchants should summon for help. The team loves that they get to have their way with the bad guys —and save merchants on a regular basis. But flashing lights often distract from the serious nature of their work. Don’t allow yourself to be distracted. Because real-time fraud prevention can make or break ecommerce companies today. The serious mission? Detect and deter payments fraudsters everywhere. It’s a one-two punch scenario… with each team member doing his or her best to defeat the bad guys. Let’s get to know this super hero squad from the inside out, and learn how their serious toil helps protect your business. Ecommerce merchants know that financial fraud is pervasive, and on the rise. Payment card issuers, payments processors, and merchants large and small go to great effort and expense to both detect and prevent upwards of $8.6 billion in fraudulent card transactions. Real-time fraud prevention capabilities focus on detecting potentially fraudulent transactions before they’re completed. One issue that plagues the industry is a high level of false-positive readings (false-positives identify good transactions as potentially fraudulent). Merchants lose revenues and possibly lose customers too. Enter R-TFP super heroes. As real-time fraud prevention algorithms improve, the healthier become merchants’ online business results. Artificial intelligence continues to develop in many fascinating ways. One member of the AI family used to fight fraud is known as machine learning. Powerful computers crunch large data sets of historical transactions flagged as confirmed fraud to identify patterns… that are then used to “train” neural networks to identify potentially fraudulent transactions. According to Trevor Mast, Senior Vice President Financial Services Products at FIS Payments Leader, the future will move us away from the time lag inherent in most such tools today. An evolution of the big data analysis techniques of today, this will provide security without the time lag – it all happens in real time. An example of continuous machine learning used in the payments arena: Behavioral biometrics used today to provide invisible authentication capabilities to the payments industry. 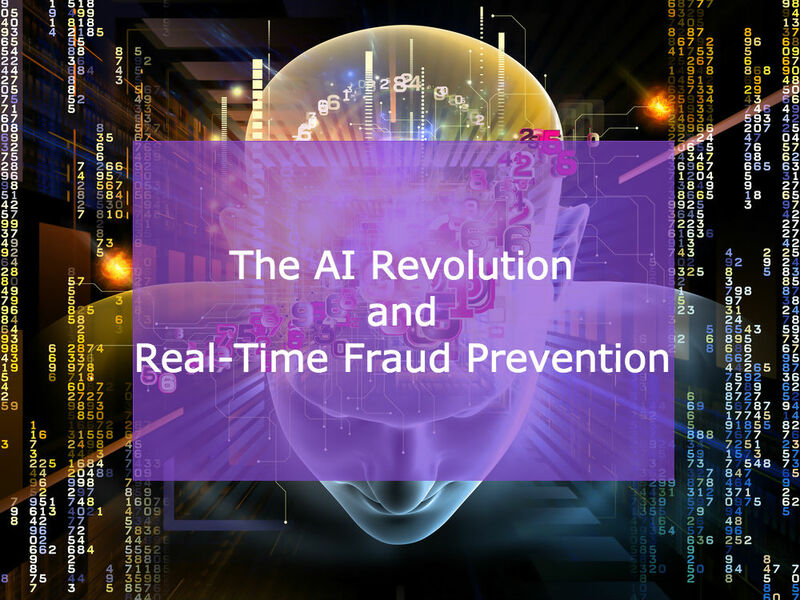 Tools based on machine learning, neural networks, and other artificial intelligence capabilities continue to evolve and assist in the fight against fraud. In the payments space, First Data Corp. offers Fraud Detect, a real-time fraud prevention solution that includes machine learning capabilities and real-time fraud scoring. The tool combines artificial intelligence and machine learning with cyber security intelligence and fraud scoring, using vast amounts of data… including consumer information, online transaction histories, and information from the Dark Web (where criminals sell stolen data). Combining these technological capabilities, such tools can generate a potential fraud score on each transaction — before a merchant actually runs the transaction or fulfills the order. Advances in technology allow real-time fraud prevention tools to develop and improve over time. Ecommerce merchants wanting only to grow their businesses and not keep pace with technology should take heart and focus on a few key tech solutions for fraud protection. When you’re ready to join the real-time fraud prevention squad in the real world of high-risk ecommerce merchants, be sure to find a payments partner who will enter the fight with you. The right payments super hero for your team thinks of you as a business partner, and treats you like one. He wants to see you win the good fight for success. Because you’re more than a means to an end. Not only a payments industry expert, he’ll understand your unique business model and want to understand your specific objectives. Only then will he identify solutions to support your needs. And he’ll make sure your ecommerce website is ably protected with fraud prevention measures and tools to help you manage chargebacks and other dastardly enemies — for your enhanced business protection.